My family is not one that's big on desserts. For whatever reason, we never extended the Christmas traditions beyond pies, and I think birthday cake was as fancy as it got when I was younger. If you were *really* good, you got the German chocolate cake with real coconut in the frosting for your birthday. My mum made a fruitcake for my English grandfather every year, I just don't think we're a "sweet" driven kind of family - there was always more fruit in the house than anything else, and my mum would do wondrous things with vegetables, so I always wanted those first. But that doesn't mean I don't appreciate a good dessert now and then. My husband's ice cream comes first to the list (especially the lemon/vanilla one he did a few years ago). After that, all the desserts I explored with him as we learned about my northern Italian heritage, so I hope you all don't mind indulging me in a roundup of the things I learned about Italian desserts during the holiday season. When I started dating my husband, we started exploring the Twin Cities and found Cossetta's Restaurant in St. Paul, which became a highlight of some of my most cherished memories of that time period (and some very entertaining ones, too!). Cossetta's introduced me to tiramisu, the first wonderful and remarkably Italian dessert I had ever had, full of rich mascarpone cheese and crunchy ladyfingers. When we walked downstairs into the deli portion of the restaurant, along with the many different kinds of antipasti, pizza doughs, and pastas, we found a new product that I had never seen before, panettone. I bought a small one (I was on a high school's paycheck after all) and tried it at home with my dad. I was hooked! 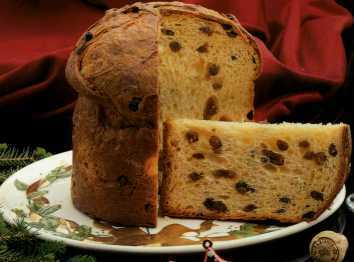 Light, softly flavored sweetness and bits of dried fruit for fun, the panettone was the best version of fruitcake I had ever tasted. When I discovered my celiac disease, well, I had to find a recipe for it that tasted just like I remembered that first time. Nichole from Gluten Free on A Shoestring really delivered (though I changed her fruits to more traditional ones). As my husband and I continued to date, got engaged, and eventually married we found other forms of tiramisu that were just as good as Cossetta's, but in different ways. Buca di Beppo's version was delightfully boozy and over the top in flavor. Franchesca's was light and fluffy with a fabulous espresso flavor. I wasn't surprised when Treviso, the province of my grandfather's family in Italy, came out in 2013 and asked for tiramisu to get a Specialità tradizionale garantita status, giving it a heritage dating back to 1970s there. Even in the comments, the ingredients are debated and changed, depending on the family recipe that they were using. So when Udi's Gluten Free winner Bonita came out with a recipe, I didn't hesitate to try it even though it would be different than all of the other tiramisus I remember. Rich and meringue-y, it tastes different than any other version I've had. With my husband no longer drinking, the recipes will morph yet again as we change to a booze-free version of tiramisu. In all honesty, most of the time the booze was not necessary for the dessert - Buca's is really the only one that has done it well. I prefer to think about it as going back to the heritage of the dish, as the story says tiramisu is an after dinner pick-me-up that was invented to help prostitutes get back to work after long Italian meals. But when we actually went to Italy for our honeymoon, my world was opened to a whole new set of ideas of what my beloved Italian ancestors would have in their Christmas celebrations. 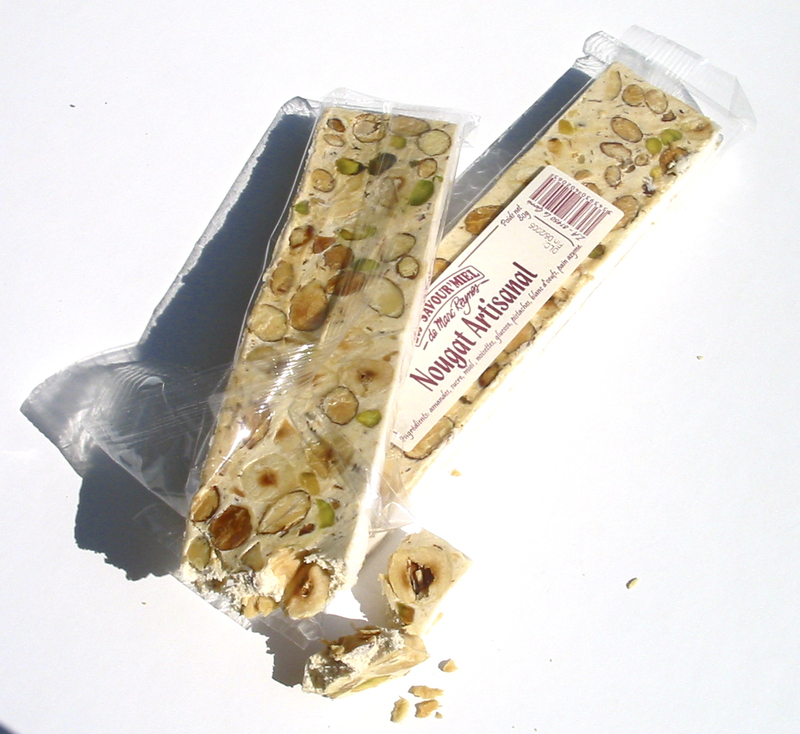 Fresh torrone from the candymaker's stall at the market, stiff and chewy, full of nuts and fruit and all the things that nougat makes better :-) Naturally gluten free, it was one of the first desserts I turned to in order to remember the sweetness of the holiday. Martha Stewart's recipe is pretty decent if you want to try making some of your own, or get some from Cost Plus World Market fresh. It hardens too much if you let it sit too long and then you're liable to crack a tooth on it. Pandoro was next (the name STILL irritates me as the spelling and grammarian in me wants it to be properly "pan d'oro").Warm, sweet, and bread like, the best part of it in Venice was that they cut squares of it to serve with rich vanilla gelato and sprinkled with spicy cinnamon to create a wonderful sweet and spicy dessert. Pandoro being from Verona I was surprised to see it served there, but true to Venetian style, there was a multitude of desserts from many Italian provinces available. Schar's bread mix makes a wonderful base for this for the gluten free crowd, and their recipe is quite easy to make, Of course, you can't stay mad for long in Venice, because they're already feeding you the next amazing thing. The next item on my dessert list is a uniquely silly and Venetian thing, because only they would think to do something like make a rich creme dessert even richer. I've not found this recipe in the gluten free world yet (though when I have some free time it might be one I develop), but its good for non-gf crowds. Crema fritta all Veneta or Crema fritta alla Venezia. Fried cream. Yep - that's right! Thick curdled cream inside a delightful puff of fried dough and breadcrumbs that you serve with little bowls of more cold cream sweetened with sugar. A ridiculously simple recipe to follow (yes, it is in Italian but its easy to translate) that I'm thinking could be done using King Arthur's gluten free baking flour and any number of breadcrumbs (maybe the Schar variety?). With a little searching in Venice, however, we found the REALLY cool desserts. Pinza Veneta or Pinsa Veneto (depending on who you ask), is traditionally made for the lighting of the Christmas Bonfires around the Venetian province of Veneto, including Vittorio Veneto, where my grandfather's family was from. While not one of the larger fires in the province (the one above is a beautiful one from Arcade, a little over a half hour from Vittorio Veneto), there is still a small one with plenty of pinza and brule (a hot, spicy mulled wine). The panevin, as the fires are known, started out as a pagan tradition on the winter solstice and then later became known as a way to help the three wise men find their way on a cold winter's night to Bethlehem. Grandma Bruna's recipe for pinza is delightful (note: not MY grandma LOL), and Schar comes to my rescue again with a gluten free recipe for pinza (though I would add some cornmeal to it to make it more authentic to what I remember). but its actually better if you make your own, because then it doesn't look like some off colored mustard. 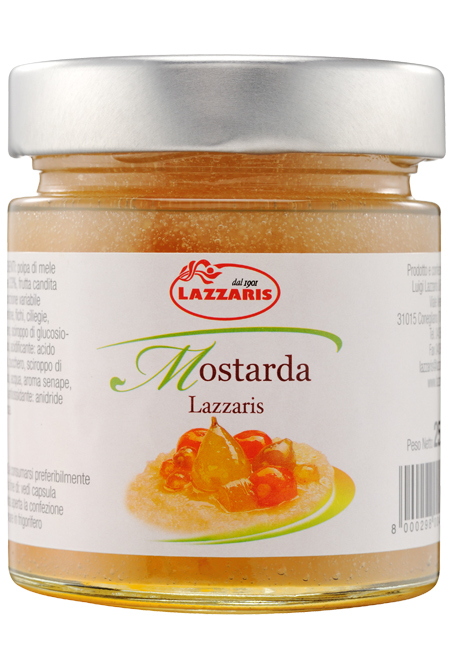 Mostarda is a combination of fruits and mustard essence, and its a sweet and spicy condiment that helps clean out the cupboards while making something tasty. This recipe from Food52 makes a lovely version that's simple and requires little work (though a lot of time is involved, most of it is in non-active tasks...). And its naturally gluten free, so of course you can use it on tons of stuff, not just pinza! Pureed up more, its good with a lot of meat dishes, it can be used in the place of cranberry sauce, and its excellent with cheese and crackers. 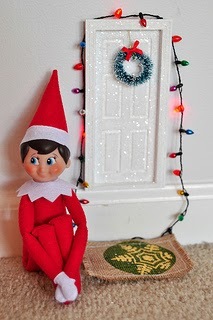 Thank you Melissa Hillier for a much cleaner photo of the little Elf than I've seen! Here's the thing. When I was young (which was not that long ago! ), I was taught that Santa is a representation of the spirit of generosity. He might not be a real person, but as a spirit of generosity he represents the idea that we all should give to one another. I mean, even the bad kids get coal, which can be used to warm one's house, so life is not all bad! It was your job to honor the goodness in the world all year long or you would be put on the coal list. There was nothing in these lessons about religion, about all year long stalking, or even a requirement to call him St. Nick and not Santa Claus / Kris Kringle. So you can be Jewish or Muslim or Atheist and still enjoy festivities and just don't bother with the "Christmas" name for the holiday. It wasn't until I was older that I even realized that there was a religious component to Christmas in the name and the motivation behind the holiday. As usual, it is because the Christians tried to borrow from various Pagan celebrations in an attempt to gain more converts. Pieces of the holiday belong to the Romans (Saturnalia and Kalends), Druids (mistletoe sacrifice), Norse Mythology (Balder is killed by a mistletoe poisoned arrow while fighting over a female), the Asheira Cult (Christmas trees), German and Celtic pagans (the cult of Nicholas), Asian culture (Nimrod, the fire god, was nicknamed "Santa"), the Irish (the "Yule Lads" left presents and played tricks on people), and even some work in the holiday belongs to marketers (i.e. Coke's depiction of Santa Claus). This muddled mix of sources thrown together into a holiday makes it easy to pick and choose which pieces of the holiday you choose to observe. 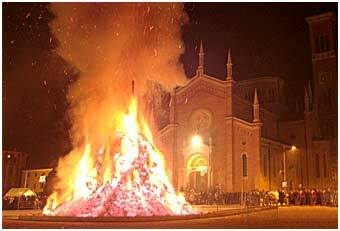 Celebrate Santa but not poison or Christ's birthday or a celebration of the slaughter of thousands of Jewish people? Absolutely you can! BUT...you can also celebrate Christ's birthday. And you can also sacrifice a goat to Balder or pagan gods. That's the beauty of living in modern culture - unlike the 4th century CE when the Christian church borrowed Saturnalia to form the basis of Christmas, we have CHOICE. The tradition of the elves actually starts a LOT later than Christmas itself. It wasn't until the 1800s that the elves of the world were demoted into only existing to help Santa Claus do his work. Prior to this, elves were a sort of fun little creature that could help you or harm you - in Germanic and Scandinavian literature, elves were guards against evil and bringers of light and magic but if they were mistreated or you were a bad person, the elves would play tricks on you. But again, the sources get mixed. In the Netherlands, Santa travels with a sidekick named Zwarte Pieter (Black Peter), and in France, there's Père Fouettard (Father Whip) for Santa's sidekick, both of which are characters of very mixed good and evil. The Elf on a Shelf idea sort of brings back that idea of the "little people" or the "Wee folk" that can be good to you if you're good and bad to you if you are bad. And yes, I've always found that idea creepy. That someone or something is watching me 24/7. No person is ever going to be perfectly good 100% of the time - even sleeping people sometimes kick people in bed! So do I find Elf on a Shelf creepy? Yep. I wasn't even surprised when a Washington Post article proclaimed "The Elf on the Shelf is preparing your child to live in a future police state, professor warns"
You've probably all already seen the arguments, so I'll skip to the good part - the comments. They are a lively bunch of folks who have a range of opinions, but the most interesting delve into the WHO is buying these things. You see, there's a strong belief that its mostly young mums out there buying these because they want to validate that they are good mothers just like their friends who are posting their "Elf on a Shelf" pictures on social media. It's all a scheme for validation, and in some cases, they even do it after the children are scared off by the "Elf". The thing I think young mums are not remembering is that they have a CHOICE. If you are bullied into using "Elf on a Shelf" and its other overpriced products than you are in the same situation people were in the 4th century CE - being told how to behave and how to validate your celebration as legitimate. There are wonderful young mums out there who don't tolerate this nonsense and have great kids. There are wonderful young mums out there who find the whole thing entertaining and do it for fun without the "rules" and involving their children in the process. You always have a choice in what you choose to buy and celebrate (unless you're in a totalitarian country like China or North Korea, then...I apologize). Don't let your social media feed bully you into needing validation just like others or trying to argue for "Putting the Christ back in Christmas" or "Banning Happy Holidays" or any other such nonsense. Over the weekend, the holiday sales season officially began. 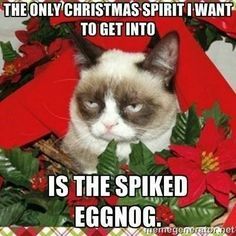 I don't even know if we should call it the holiday season any more. By far and away, the amount of people, places and things crying out OMG PLEASE PAY ME was just ridiculous. Did I indulge? A bit. Much less than other years. Maybe I'm getting more self control as I get older. Mostly though, its just tiring. Why the heck does everyone need a new tv this time of year? Or yet another crock pot? Do people throw these things away on a monthly basis? I don't understand. I got a couple of movies, and some surprise packages from Julep (my husband would probably argue I do NOT need more nail polish, but...) and a pair of pants I needed to replace one that broke on vacation (duct tape no longer holds the pockets together). Oh, and some patterns (feeding the addiction, lol). I think most of all, it really just came across as a sea of people, places, and things trying to stimulate buying, and none of it really had the effect that it would have had five years ago, even a year ago! Black Friday sales numbers were down, and I think its because of that reason - a sea of external stimuli with no way to differentiate it. Even most "deals" sites were saying the deals were bleh this year. I think back upon Thanksgiving 1900 and wonder...what would they have thought of all this nonsense? I think they would have gone crazy from a sea of crazy around them. They wouldn't have known what to do with so many advertising messages blaring at them. Sorry for the ramblings today but that's where my thoughts have been over the last couple days . 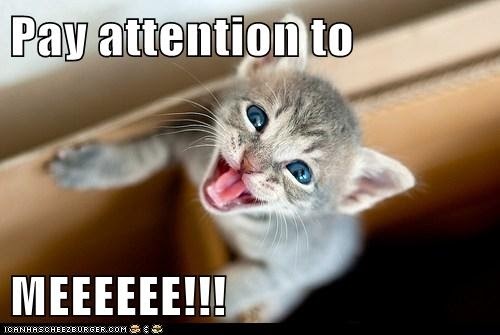 This week to come: updates on projects completed!